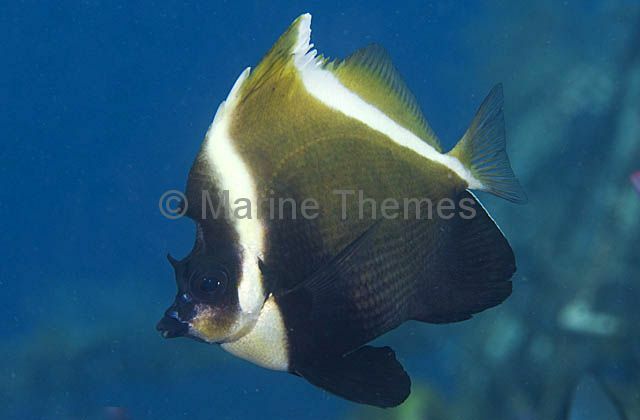 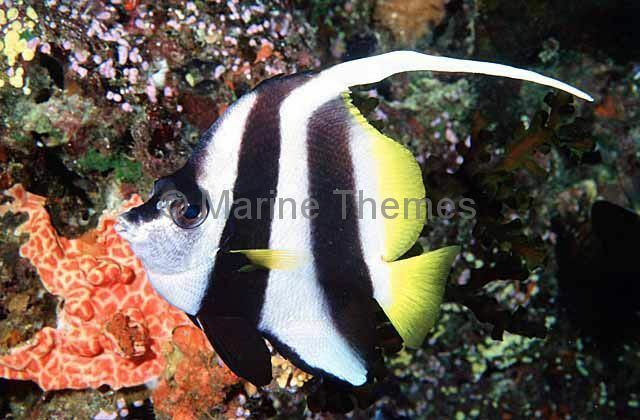 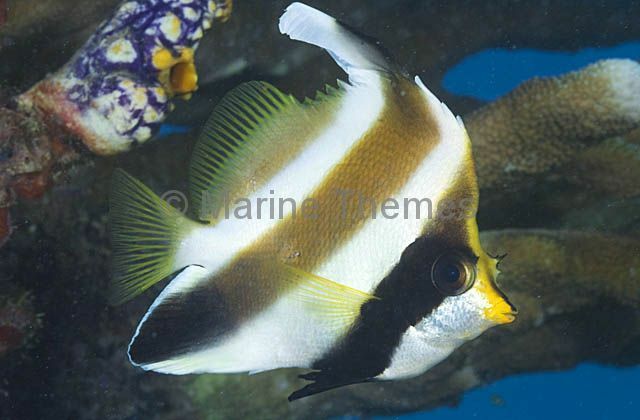 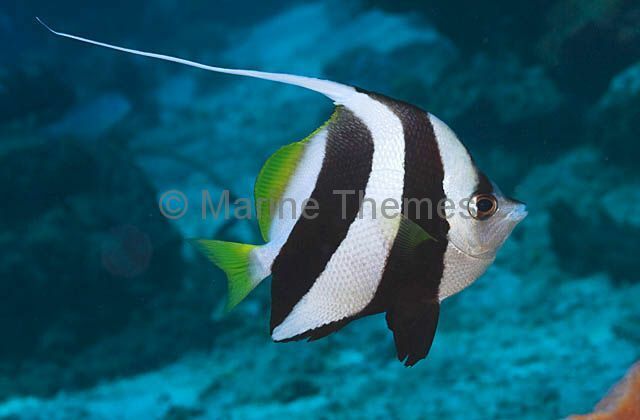 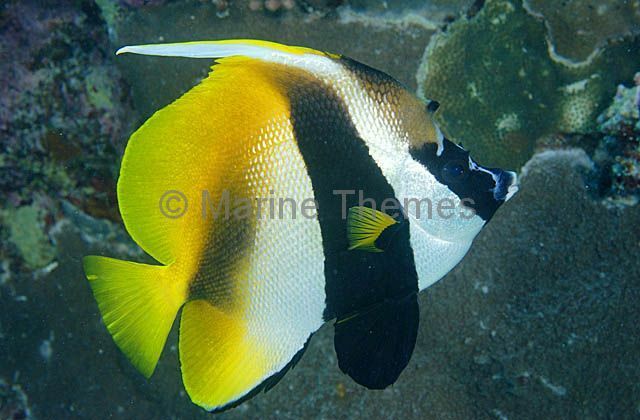 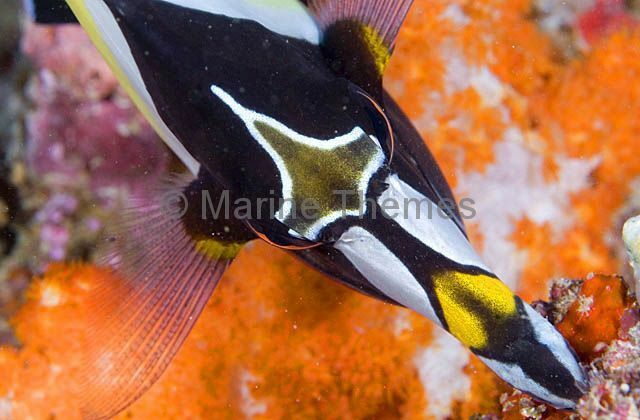 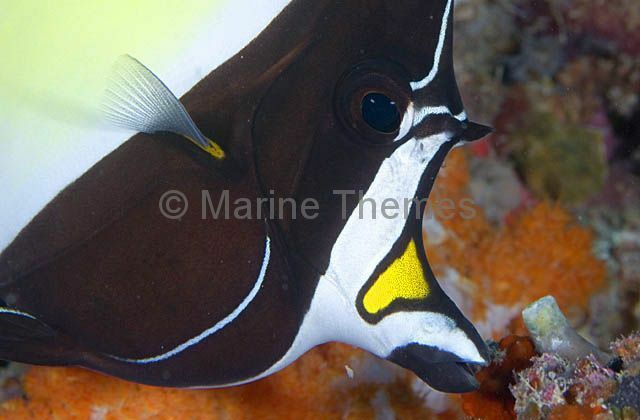 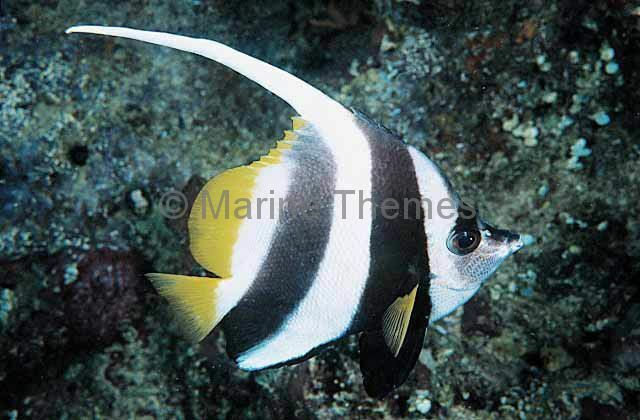 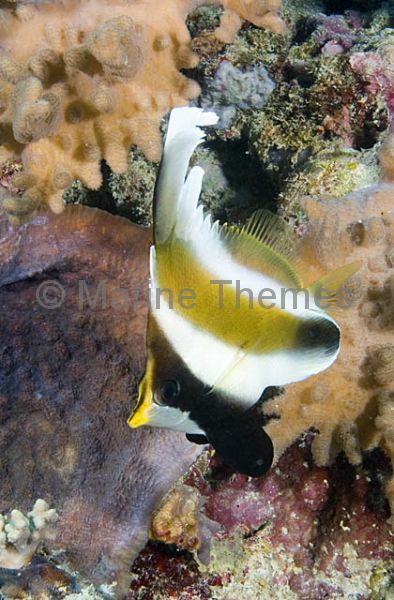 Pennant Bannerfish (Heniochus chrysostomus). 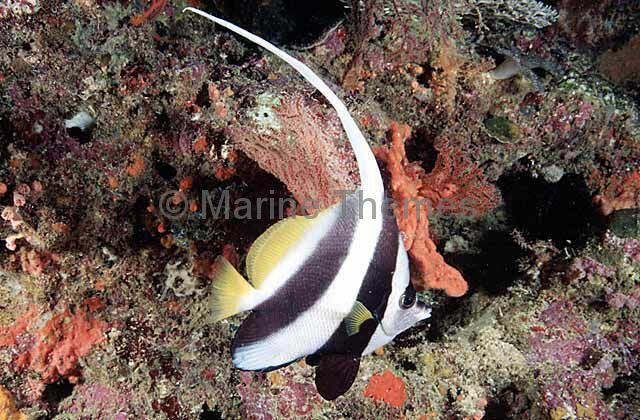 Juvenile. 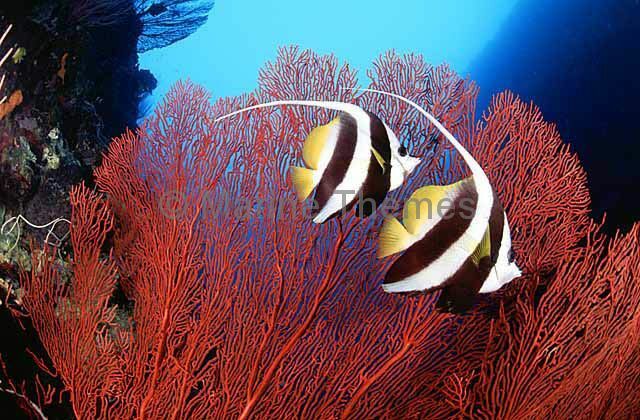 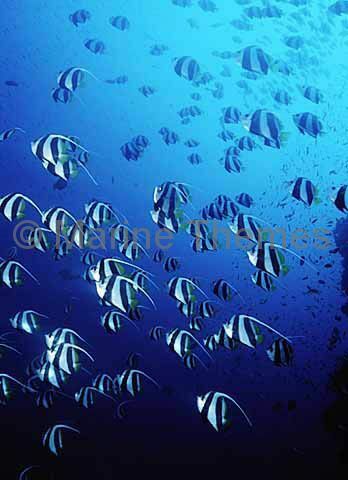 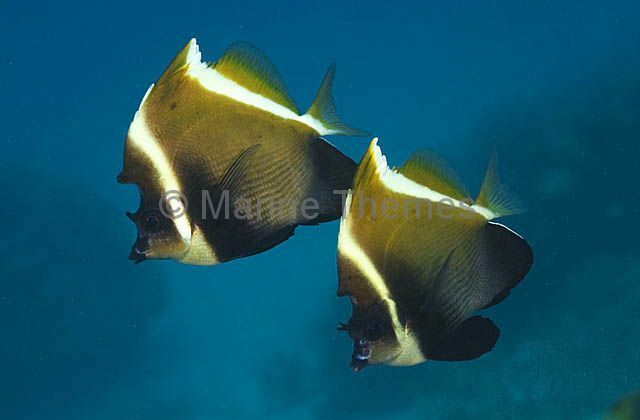 Longfin Bannerfish (Heniochus acuminatus) juveniles. 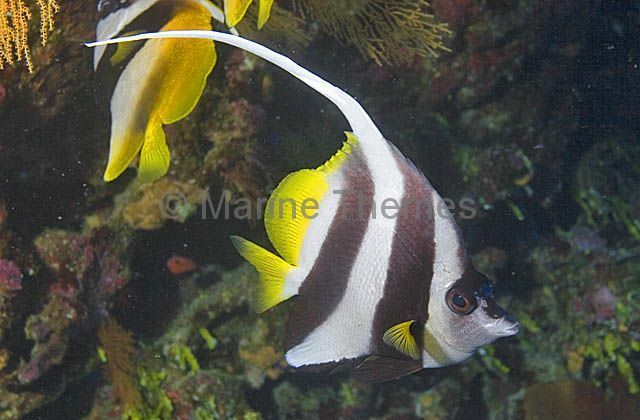 Longfin Bannerfish (Heniochus acuminatus) schooling in the shelter of tree branch. 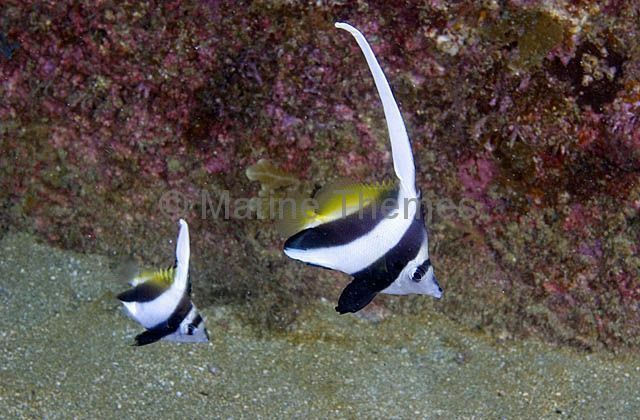 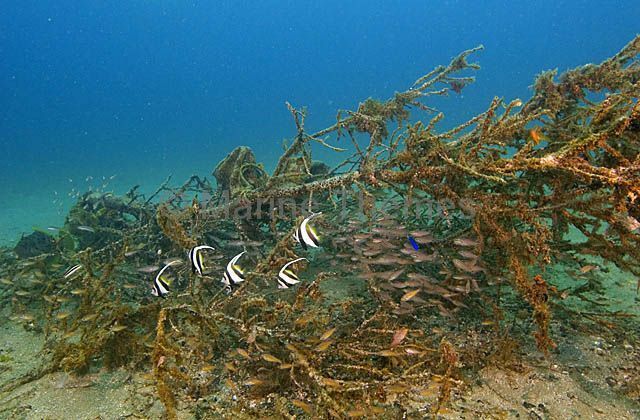 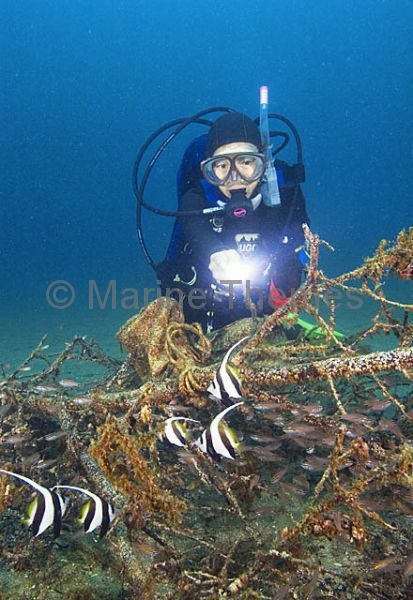 Longfin Bannerfish (Heniochus acuminatus) schooling in the shelter of tree branch with diver observing. 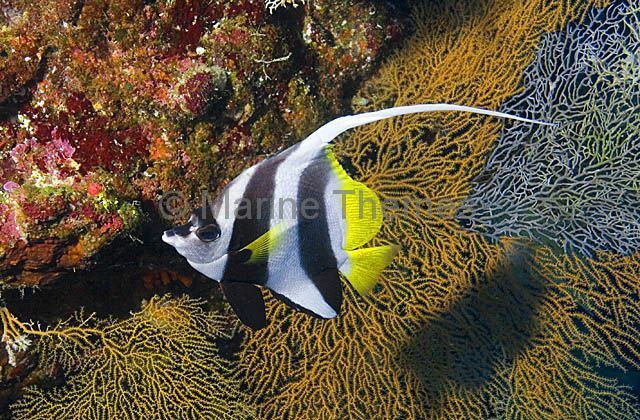 Moorish Idol (Zanclus cornutus) Face detail.